General ASGA18FETA 1.5 Ton automatic airflow & temperature adjustable Air Conditioner provides the coverage of 180 square feet, 640 m3/hr high airflow & 11,600 of cooling capacity for fast cooling of the environment by consuming only 830 Watts of power. This durable AC with Japanese technology also contains auto clean filter, Moisture Removal & Rotary Compressor for its quiet performance. 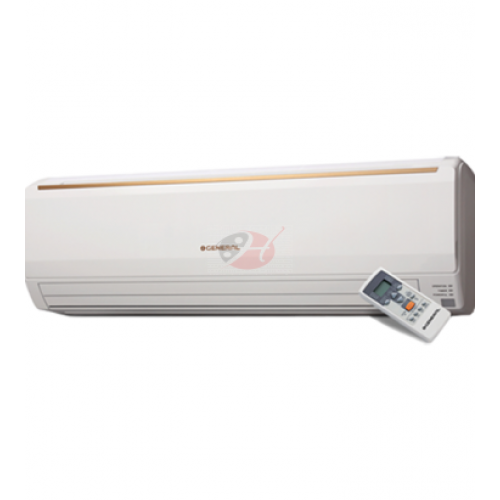 This split AC has the weight of 7 kg for indoor and 29 kg for outdoor unit. This high-quality air conditioner of 46° C operating temperature has the best market price in Rangpur, Chittagong, Dhaka & Sylhet. It would be wise to choose General air-conditioner for order online to have long-term peace of mind and years and years of comfort.